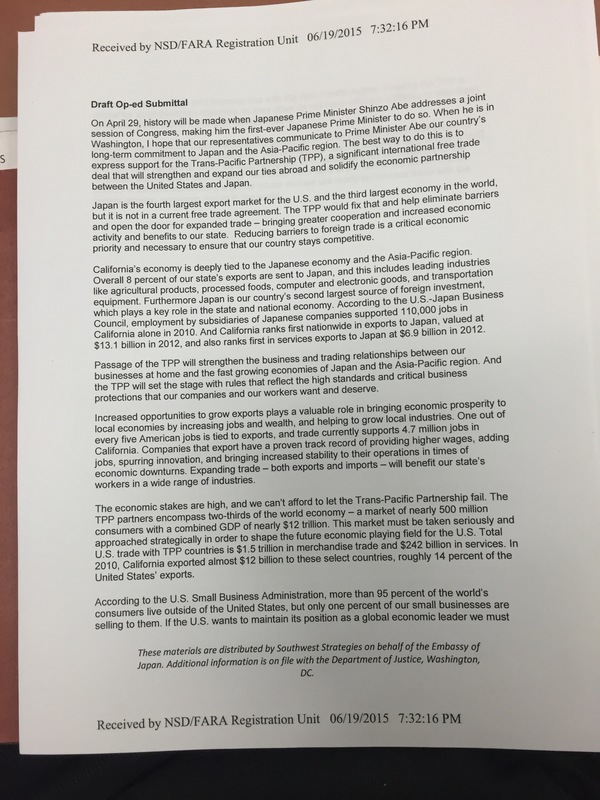 Newspapers in California published pro-TPP columns that appear to have been at least partially authored by lobbyists working for the Japanese government. 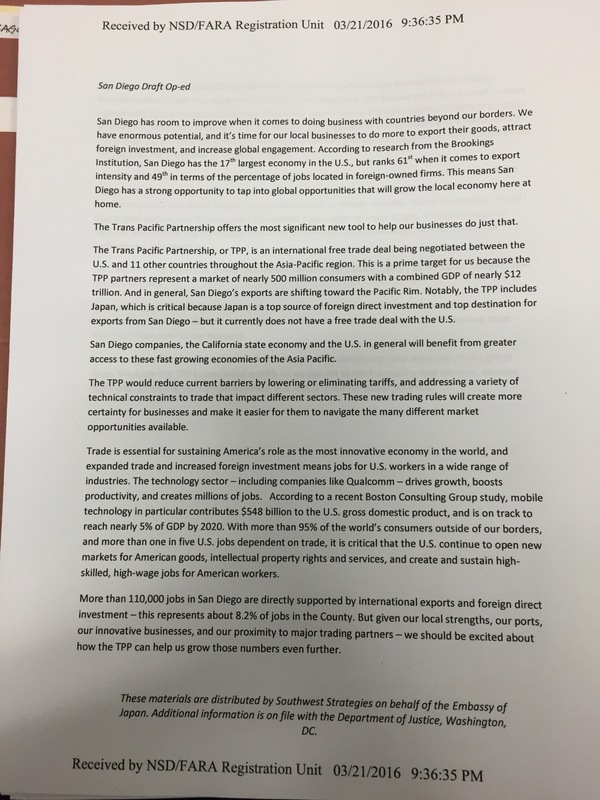 Or take this column, “TPP Will Strengthen California’s Economy,” by Pat Fong Kushida, the president and CEO of the CalAsian Chamber of Commerce, which was published in a Los Angeles daily newspaper called The Rafu Shimpo, with a truncated version appearing in the Sacramento Business Journal. This is why shoddy journalism is bad, they simply repeat the talking points of the government, and in this instance they are caught red handed.